Though one of the headline additions in Apple watchOS 4 is the improved heart rate features, original Apple Watch owners won't be able to try them out. The new software, which landed on smartwatches on 19 September, includes updates to much of the workout and health-focused aspects of the device, with the heart rate receiving a makeover through resting, walking and recovery HR readouts. 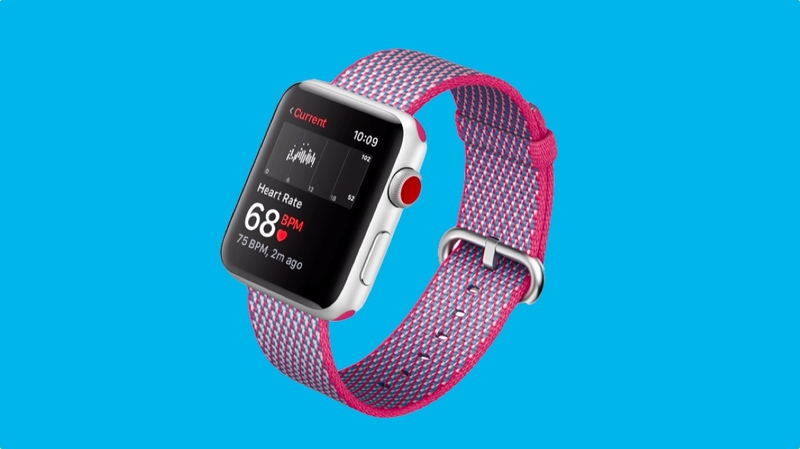 Even abnormal spikes in heart rate are now flagged by Apple's smartwatch. However, we now know that not all Apple Watches embracing watchOS 4 will receive the same treatment, with the original Apple Watch — launched back in 2015 — proving not powerful enough to host the new smarts. Those with a Series 1, Series 2 and Series 3 are all in the clear thanks to faster processors and larger battery. Now, while this obviously a disappointment for those looking to engage in some more advanced heart rate datas from their ageing Apple Watch, it's another indication of Apple thinning its lineup. With the Series 3 now out in the wild, the Cupertino giant has already discontinued the Series 2, which itself formed part of the original device's replacement. It all means that for new users attracted by the full power of watchOS 4, there's only two buying options remaining: the pricey Series 3 or the GPS and LTE-barren Series 1. And although the metrics could potentially come to original devices further down the line, the fact Apple hasn't included it from the get-go is a pretty big hint that users will need to upgrade in order to access the new features.